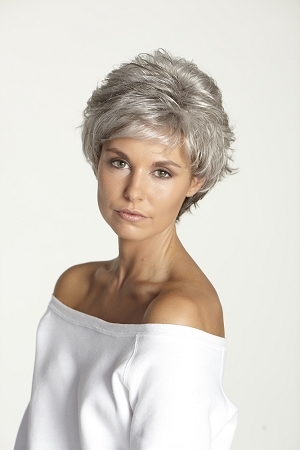 The Liz Human Hair Blend Wig by Revolution is a short spiky style with fun curls. Because the Revolution line is made of a special human hair blend, this piece is heat friendly, you can use dryers and curling irons with ease. Short and sassy at it's best.